Social trading and multi-asset brokerage company eToro has added ZCash (ZEC), the privacy-focused cryptocurrency, to its list of cryptocurrency offerings. This brings the total number of crypto assets available on eToro to 14, including Bitcoin, Ethereum, Bitcoin Cash, XRP, Litecoin, Ethereum Classic, Dash, Stellar, NEO, EOS, Cardano, IOTA, and BNB. 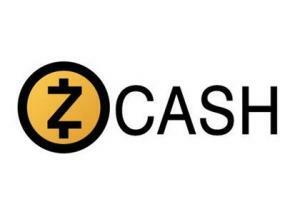 Zcash is a cryptocurrency aimed at using cryptography to provide enhanced privacy for its users compared to other cryptocurrencies such as Bitcoin. The support of ZEC on the platform means eToro customers can now buy and sell the decentralized payment network that allows users to protect the privacy of their transactions. eToro was founded in 2006 by three partners, who aimed to create a financial trading platform suitable to the traders of all levels, offering easy and convenient trading tools. Nowadays eToro became the largest and most popular social trading broker and network that serves more than 6 million users from around 150 worldwide countries. The eToro products include currencies, commodities, stock indices, eToro CFD and a recent growing trend of Bitcoin or other cryptocurrencies as well. You can read our full eToro review here.